Christian Voices are proud to announce a new play for Advent 2018. The play is called “Finding Room” and is written and directed by Sarah Surman. The Songs are composed by Alan Young. There is no room at the inn but can we find room for others in need? Can we find room for love to be born? Christian Voices present a Christmas play that explores the lives of eight people who are “Finding Room“. 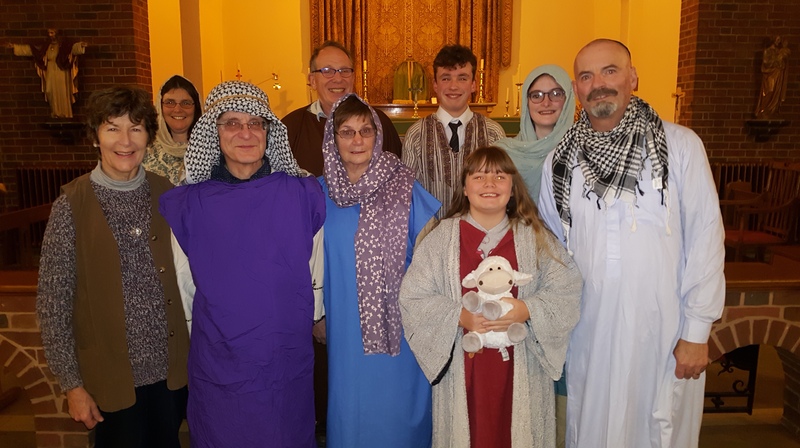 Sunday, 9th December – Sackville Road Methodist Church at 10.30 a.m.
Sunday, 9th December – St Peter’s Church at 7.30 p.m.
Sunday, 16th December – St Barnabas Church at 10.30 a.m.
Sunday, 30th December – Christchurch Methodist Church at 10:30 a.m.
Posted by christianvoicesbexhill on 24/11/2018 in News, Performances and tagged Christmas, New Testament, News, Performances, Plays. Christian Voices is a Musical Drama Group that retells the Bible stories of the Old and New Testament. The members of the group are people from different churches. The script and the songs are based on bible stories and are written by the members of the group. The Group aims to perform two musical plays a year at five different venues.